In any business environment, it is critical to have legal documentation in place to establish a system of rules and policies governing the legal enforcement of promises. Whether it be to simply memorialize a common understanding of an organizational relationship or govern future venture needs, the protections afforded by strong contracts are invaluable to operating a successful business. Contracts and the law governing them have profound legal effects that could impact the survival of your business. Properly drafted written contracts protect your business’s interests and fortify all the rights of the parties in any given transaction. Verbal contracts can be enforceable, but are problematic because things change, memories fade, and disputes arise about what terms were agreed to. Protecting your business’s interest and enforcing rights under a contract are much more difficult without a well written, enforceable contract. Legally enforceable agreements are tools to help businesses operate smoothly. Business contracts provide necessary legal protections that you need in any operation. 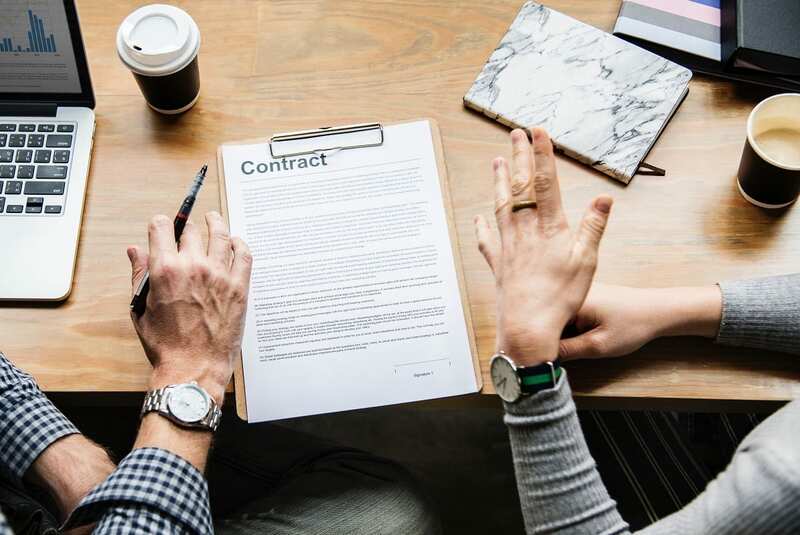 Not only do contracts minimize risk, but they protect both you and your company by helping you understand your rights and obligations under each agreement. A written contract is not the only important aspect of business agreements. It is essential to have the intended terms of any business contract expressly stated. Terms of a contract can include, but are not limited to, the parties of the contract, the duration of the contract, specific terms of performance, confidentiality, and dispute resolution. Each parties’ specific needs and requirements must be considered very early in the drafting process to ensure the final product is what it should be. Typically, the terms of business contracts are negotiated with the parties actively involved, giving all parties a fair and equal opportunity to mutually agree on the terms. Even though that may be the case, expressly stating the terms of the contract clearly and concisely is essential to avoid any misunderstanding between the parties in accordance with the personal expectations of each party. Effectively formalizing specific terms and needs of the parties in an enforceable document is essential to protect against claims of breach of contract. Keep in mind that memorializing an agreement is not the same as drafting an enforceable contract that affords all protections you may not even know you need. Bremer Whyte Brown & O’Meara understands how personal and meaningful your company is to you. It is vital to seek an experienced business litigation attorney’s advice when contemplating entering into any business agreement so that we can help assist you in crafting an enforceable contract that protects your business. Contracts often contain confusing legal terms that are unfamiliar to business owners. Advice from experienced attorneys can provide clear information on the benefits of business contracts and whether a business should agree to specific contractual terms. Contact us so we can make sure your business is fully protected by contracts that help it succeed and avoid or insulate from any negative situations.